We appreciate you taking the time to review our products and services. Please fill out the form below to leave your testimonial. Jim & I are so pleased with our new fireplace. Everyone we had contact with was so nice & helpful. All of their crew & sub contractors were very professional & courteous. A special thanks to Victor. Could not find a more friendly front desk person and the rest of the staff is great too! Really made my day buying from them. Will tell all my friends and family! Looking to buy a pellet stove. They had a lot of good information. Great Job. Victor and crew!!!! love my fireplace, very professional and friendly. They worked with us and our contractor all the way, Thank you All. We are so very happy with the work that is being done on our outdoor fireplace. Finally, someone that does what they said they are going to. I receive a phone call if they are going to be late and when they are coming. Would totally recommend them to everyone. Thank you very much for the syrup and the stove thermometer. The guys did a great job installing the stove and were very professional. We are already getting lots of enjoyment out of our Hearthstone Homestead. It is a great little stove. We will definitely recommend you to others. So far in our lives we have purchased two items that have given us more value for our money than expected. Those items are – in order of acquisition: the select comfort bed and tivo. Add to that list the stove and installation from the Fireplace Shoppe. The installation was perfect, no clean up, and we love the stove. Thank you. We are certain we have received more than we paid for. We have given your card to a neighbor who provides firewood for many area people. He and his wife are in the process of buying a new more efficient stove. 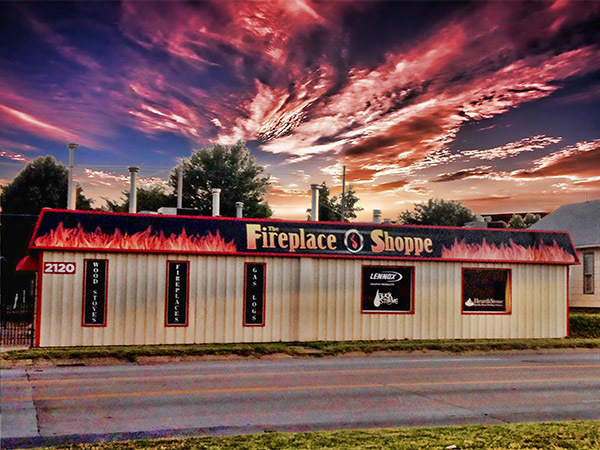 He will also let his customers know how pleased we are with the fireplace Shoppe, as he has many folks buying wood from him. Thank you again for your perfection – for doing exactly what you said you would do, and for doing so in such a professional way. We are so pleased. Extra thanks to the young man who repaired my fireplace. It’s refreshing to have someone who is knowledgeable and thorough in a job these days, plus, his thoughtfulness in getting the job done right. Your company is to be complimented for the courteous efficient employees that you have. All three of the young men who installed my unit were polite and eager to help me understand my new fireplace. They were knowledgeable and understood the process. They are good representatives of your company. It was greatly Appreciated. I have had the Fireplace Shop work on my chimney they have done such an awesome job. The are very professional and have kept me informed as to what they are doing. I am so impressed with these guys I would recommend them to anyone who needs repairs or who wants a fireplace insert. Thank you so much.